The following is the 2nd message that we received in Egypt this past Oct 2013. You can find our other messages on our website at www.alunajoy.com under the "Articles for Personal and Planetary Transformation" link. It might be a good idea to read them in order, as each message builds upon the previous one. We are sharing this message here with you just as we received it, in present time, with very little editing. We do this for a very important reason. We know that the messages that we receive are not just for our groups, but are for others as well. The Star Elders and all the others that joined us assure me that the message and the corresponding energy will be transmitted to you as you read them. So as you read this, you might want to imagine that you are with us. Also, always view the photos on the website that we share, as photos also hold some energy of the sites. Ok, friends, this is a long one. Sorry about this. I considered breaking this into 2 parts but was told that it needs to be experienced all the way to the end without interruption as there is a mediation and powerful message that follows. So get a warn cup of tea and find a quiet place to read this one. 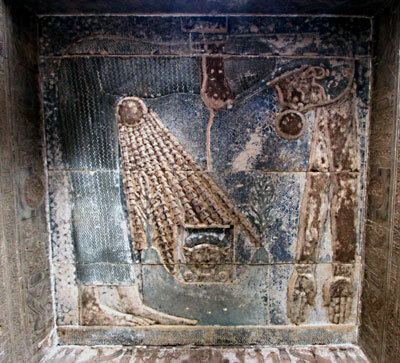 When we walked into a side chamber of Dendara, a Hathor temple, the Hathors were completely surrounding us, and the image of the female Goddess Nut was above us giving birth to worlds. We could see her face, her hands, body going around the room, and her feet and the sun coming down giving birth to the Hathors. Well they (Goddess Nut and the Hathors) are jumping right in. I guess they have been waiting for us. I am seeing something that looks like an egg. The best way I can describe it is that it's similar to when a turtle lays an egg: it is soft-shelled, not firmly formed. They said the most difficult thing for us to do right now is to figure out where to start in this new energy that we are experiencing, because we are in an entirely new energy field filled with a tremendous amount of things that we don't understand. Goddess Nut and the Hathors say we have opened the door to this new world, but we don't know how to get through the door. We don't know where to take our first step because it's hard to choose where to put that first foot down. Right now it doesn't look like there is anything there for that first step. We can't see it because we don't have the program inside of us that explains what that step is. We know this is stone. (Aluna points to the temple floor). 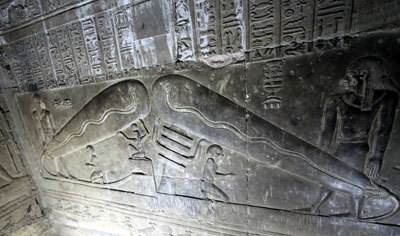 We know these are hieroglyphics and carvings and temples of the past because we have been taught this. But this familiar 3D world isn't where we are going. This is the past. We are still looking with our physical eyes at the world. But in our hearts what we really want is to go through the door that we can not see and find the new world. This is why we came here at this time. Goddess Nut and the Hathors are surrounding us with so much love and support, but they can't tell us where to put our feet down in this new energy because that is for us to discover. In our souls just want to go home. However, it's a home that we don't understand yet. Most of us have craved and have been searching for home our entire lives. They say that home is right in front of us now, and the door is open. Remember, these temples are bound together with cords that connect all the different worlds. So if you are here you can connect to there. Understand? Most ancient temples, and modern ones that are built on top of ancient ones, are built at places on earth where the earth grids connect. So they are inviting you to ask inside ourselves, inside our sacred hearts, to go to the new place, or energy, they gave us yesterday, the golden light that we all put in our hearts. Here is the place there where we will know where to make our first step into the new energy field. Of course, we still don't understand the energy that they put in our hearts yesterday, and the place they want us to step we cannot see. This is a leap of faith. We must make this first step on our own, because the whole process of this entire age necessitates us becoming Living Masters. If we don't get the job finished, then we won't step into our own living mastery, thus being making if more difficult to create a new world. (They doubt this will happen by the way) So we are stepping into something new from a place that has been newly put in us, and we need to do it on our own steam. They can't help us do this because the whole point of us going through this life and wakening up our consciousness is to be Self and Living Masters. Goddess Nut and the Hathors are sending us this incredible pure love that's just completely overwhelming to help us make this leap of faith. In the years that I have come here, I have seen one or two Hathors, but I've never seen hundreds of them. Goddess Nut is holding the potential of the entire universe around us. We are in this egg that looks like a turtle egg. It's translucent, iridescent. It's soft and gentle. It's almost like a baby blanket surrounding us. Okay . . . Goddess Nut and the Hathors are inviting us to do a visualization with them. They are asking us to imagine we are standing in a dark and timeworn temple. Out in front of us (the servers of Light) are two solid gold, glowing temple doors. They are about twenty to thirty feet high and very wide and extremely heavy. The strength, power, and timelessness of these golden doors are immense. We are drawn to walk to the highly carved doors, covered with amazing hieroglyphics and Gods and Goddesses who have walked this path before us. The doors are thick, huge, tall and very imposing. We feel dwarfed by their mere presence. We wonder if we will ever be allowed to pass through such amazing doors. This feeling of doubt we are having, we are asked to LET GO of now. This is only our ego trying to trick us into thinking we are neither worthy nor powerful enough to open and cross through such holy and sacred doors. Goddess Nut and the Hathors say today that we get to walk through the golden doors into the new world. We may not understand what this means today. We might understand it tomorrow or the next day. It might show up in our dreams or visions or flashes in our minds. But right now they are allowing us to step through and put our feet down inside this new energy field. We have been pushing up against this door for months now, hoping to get through. There has been a tremendous amount of opposition against our doing this. They say that all opposing forces (FOD's-forces of darkness) are behind us now. Once we pass the threshold of the golden doors nothing can touch us anymore. But with this step you will feel less connected to your old familiar world. I know you are already going through this feeling, so it will intensify. So now Goddess Nut and the Hathors want you to imagine that you have both feet firmly planted just pass the threshold of these massive golden shimmering doors. Everything that you thought you knew about the world and history, your life and your programming, are behind you now. What and who you think you were, or what you were told who you were, or any definitions of the old self are all behind you now. You are being rebirthed into a new alchemy. Now Goddess Nut and the Hathors ask you to feel that you are waking up into a new life protected like a baby turtle in the soft-shelled egg. You are incubating in a new amniotic fluid that is highly charged with new frequencies. This new world is acting like a second womb for you to transform in. You will not be the same after this process. You are asked to stay in this cocoon / egg for awhile until you develop further. They are not giving me a time line on this process. At this special time on earth, we don't have to let go of our bodies and be reborn, because are being reborn in a new way. When this process is complete, we will be able to take ourselves to a much higher level because the cord between worlds and universal truth will remain with us. Everything we have learned from truth and spirit will not be lost, and this will become a foundation from which to build our new temples (bodies). We don't have to start over at square one as in the past, yet this next world will feel like we are entering kindergarten again. We are now beginning to learn what this new energy represents to us, how to use it, how to work with it, how to anchor in it, and how to make it into a solid reality. In this new place, creation is totally pure. It's totally neutral, void of duality. It is a clean slate. There is nothing here but pure love, and this goes way beyond our definition of what love is. Love is pure creation. When we feel ready to take our birth into this new world, just as it took only a feather touch to push open those heavy golden doors, this feather touch is all the energy it is going to take for us to break out of the egg we are in. If it's okay with you, Goddess Nut and the Hathors would like us to stay inside the cocoon for a while (they don't give me a time line for this). If you want out of your egg right away, that's up to you. If you want to stay in it longer, that's up to you. This is our first step in a new world, and we need to make it our own and on our own time. I am seeing just a touch of things on the other side. I'm feeling a lot of the Ascended Masters on the other side of the door. I definitely see Sekhmet, dead center out in front of us. She is acting like a mother when a child is learning to take its first steps. You don't want to help the child because you want to have the child walk on its own. She is stepping back a step, and then another step, so we will keep walking forward. Mother Sekhmet is not going to let us lean on her. She wants us to learn to walk on our own. Now that we have taken a few wobbly steps in the new world, they are asking us if we would like to take in all the love and beautiful energy that the Hathors and Goddess Nut are sending us. This love is also holding the creative force of the universe and the strength, clarity, and impeccability of Sekhmet. They are inviting us to let this energy into our hearts and inside our individual eggs to merge with our new amniotic fluid. We are going to be bathed in this incredible light and this love for a long time. The Hathors didn't walk through the golden doors with us. They are staying in front of the doors just outside the threshold that we just stepped through. I feel they are guarding/watching the door for others to pass later. The Ascended Masters, Mother Sekhmet, and Mother Isis passed through the golden doors. I can feel them, but I can't see them. They are staying back away from us because they say that we are in a very delicate condition at this time. They don't want to touch us or interfere with this process until we get our feet planted solidly on the ground and we break out of our eggs. You might feel like your guides have backed up or even have gone way for a while. Sekhmet is calling us deeper and deeper into the new temple chamber. The deeper and deeper place is . 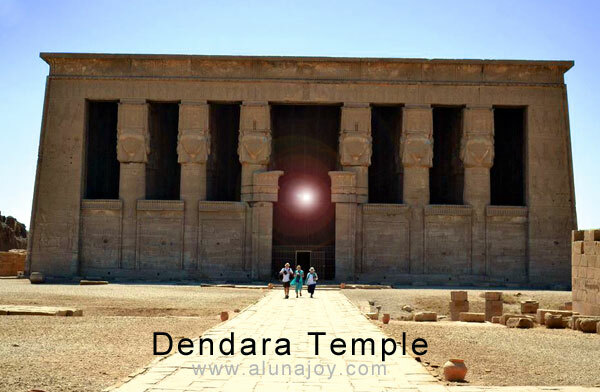 . . actually she wants us to go to a physical place in this temple (Dendara) they would like to take us to now. It's a little difficult to get down in there, but it is well worth getting passed the first little bit. 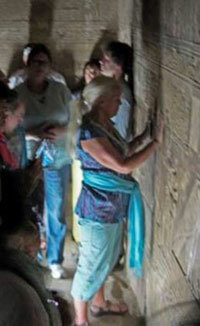 Hold this space and don't let anything draw you away until we visit the Old Kingdom temple. Yes . . . there is a temple underneath this temple. Sekhmet says she wants us to go deeper, and that's why she is in the shadows because she wants us to follow her. Is that okay? Sekhmet and the Ascended Masters said that it's never warm down here. It is usually quite cool. They said it's because we are in the womb, like in the turtle egg. They said that we needed to be reborn in a place where the energy was the purist possible. This chamber was part of the Old Kingdom of Egypt, not the New Kingdom. 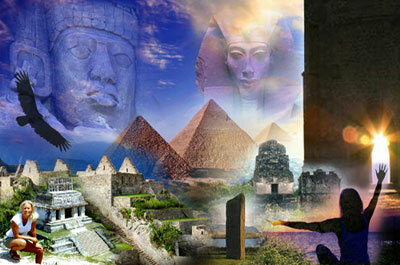 It's not where such things as Pharaohs and huge egos and war took place. In the Old Kingdom the alchemy of light was pure, and people understood this alchemy. This is the place where the energy was anchored long before Atlantis fell. This place is very, very pure. We are standing in this etheric record now. They say we need to be here in our eggs / cocoons, so we can absorb some of this into our auras while we are gestating in our eggs. We don't want to recreate the world as it has been. We want to recreate a purer and more perfect world, where each person has the ability to be a master of his or her own reality, where each one is respected and each one is honored as an equal . . . and all are one. I know it's warm and a little uncomfortable down here in this chamber, but they are saying, "just breathe into the energy here." We can see that this room has been protected and has not been defiled in anyway, as has much of the temple above. The energy here has never been altered. It is a chamber for people to remember the old ways, which are an anchor or a foothold or a foundation stone for the new ways. Remember we were talking about the cords that go between all dimensions. This is one of the places that we want to be tied to because it is clean, and it is pure. Remember too that everyone has the ability to be a Living Master. Everyone is equal. There is no higher or lower here in the alchemy of pure light. There are no servants or masters. There are just Ascended Beings, living on the planet walking in respect and honor and integrity for all life. This is one of the very few places that has survived and still holds this beautiful energy. I thank Goddesses Nut and Sekhmet and the Hathors because the guards are allowing us space. It is actually illegal for me to speak in these chambers, yet they allow it. It's like the whole universe has conspired and come together to help us have this space. Here we can claim our mastery in a way and a space where we have love and respect for all life. There is no ego here. There is no better or lesser than. We won't walk out of here wearing white robes and golden sandals. And . . . that's what they told me. (laughter). We will, however, have this new light, this self-mastery anchored and activated deep inside of our hearts. As we take steps forward on this journey we ask that this self mastery take hold and grow with the most beautiful fertilizer called "Love" that we can possibly imagine. Now our new body that's growing inside our old body will come together in this beautiful Love with the help and guidance of the Ascended Masters and all of the Gods of the Egyptian Old Kingdom. 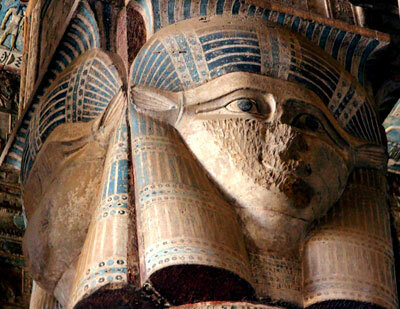 We ask Hathor to guard us and guide us. We ask Mother Sekhmet to give us the strength of the lion, but the love of a mother. Any mother that has given birth knows of the protective lion roar inside her heart. When we walk out of here, we will do anything necessary to protect this emerging world. We are the protectors of this world. There will be people all over the planet becoming the protectors of this new world as well. It will be re-reborn with the most intense mother love that Sekhmet holds. Nothing can stop this process now. There is nothing we will not do to make this new world come to pass. Yet this will be effortless, as there will be very little opposition now. The past is so far behind us now. It is a dim memory, and that is all. It (FOD's) has no power over us anymore. We are now walking in the footsteps of the Masters that walked before us, and there will be many walking in our footsteps after us. These footsteps are sacred and precious, and it is an honor and a blessing to be in this position and in this place. So just allow the mysteries, the alchemy, the magic, the light-the unimaginable light-and the love and the impeccability that runs through the Old Kingdom, allow it all to run into the core of who you are. Allow that light-filled energy into the center of your cocoon, your egg, and let it flow into the center of your heart. The golden doors have opened, and we have stepped through. We have our feet solidly planted in the ways of the Old Kingdom, so we can now build a new one. The New Kingdom will look much different from the one we just left. The alchemy has advanced and evolved into something different, but the foundation stones are solid. The cords that bind all universes together are solid and will be our orientation point, our touchstone inside of us. So no matter how wobbly the world gets outside, we will have this center point. It almost feels like the walls are coming alive behind our backs. They are embracing us and sending us love. They are holding space for us to give birth to our next step, an evolved alchemy. Jeshua said, "What I have done, you can do also and greater things." He walked on water; he healed the blind; he fed the masses; he ascended, and . . . he says that there are greater things for us to do. These are for us to imagine and create. Thousands of years from now they will be looking to what we do in this time for their touchstone for their next step. The process doesn't stop with us. We are just another wrung in the ladder of physical and spiritual evolution. Knowing this, there is no way we can act from inflated ego or feel self-important. We are blessed and honored to be called to build this next wrung in the ladder. Nothing can move forward without this next step; yet nothing can stop it as well. They share this with us because it's only the humble heart that will be able to manifest using this new alchemy and actually survive in this impeccability. Everything we do will come from the humbleness and the love in our hearts. Jeshua is happy that some of the things that he taught did survive through time. When he said, "Follow me," he didn't mean follow him. He meant follow in his footsteps, and he certainly didn't mean to stop where he stopped. He meant go on, do greater things, go further. He loves the image of the simple carpenter because to him that expressed the concept of the humble heart. When we have the humble heart, all the magic and creative force of the universe are available to us. It's when we get into our egos that it gets all twisted into altered forms where what we create becomes something ugly, like hate, all the way to nuclear bombs or genocide. Everyone has the ability to tap into this creative energy. But in order to build something so powerful that the atrocities of the world can never again exist, it must be created from a humble heart and the love anchored in our hearts. All our ascended Masters, God and Goddesses who are here with us today, are proud of us because they can see that we all came without costume, without the robes and the golden sandals. We came as we are. We dress like anyone. We treat each other and the people we meet with respect. We are all teachers to each other. We are all students for each other. They also see in us that we are willing to face and own our short comings, our humanness, and at the same time face and own all the power, love, and wisdom that we have in our hearts. I thank Jeshua and thoth and Thoth, who is right now in the process of making a new alchemy essence for us. A loving "thank you" to Thoth. He is very present here, as well as Serapis Bay and El Morya. A loving "thank you" to the Hathors for giving us the strength and the courage to come here at this time. We have to give ourselves credit too . . . this country is empty, and we got here anyway. They say do you understand the magnitude of this? There are seventeen of us here today when there are usually thousands. They want you to own how strong you are to come here. Do you understand how important it is to own this power that you have? Thank you, Great Creator and Great Divine Director and all the Ascended Masters that have walked this path before us and called to us to follow in these amazing footsteps you left for us. Now . . . Mother Mary is coming in. She says, "Thank you for honoring yourselves enough to follow your hearts in a world that does not support this. Most of the world does not support us in following our hearts, and yet you do. Thank you for your strength and your love, because it's your love that made you commit to this process. You didn't sit back and watch the world like spectators. You are not bystanders. You are participants in creating the New World. You came. You showed up. You continue to show up, no matter what the obstacles you have encountered. You keep showing up. You have been showing up since you were children. You keep stepping outside the box the outer world would like to keep you in. You are not afraid, and you trust the process. You have much love because your hearts know what is on the other side of this void. You trust even though everything on the outside says, 'Don't go there; it's scary; you will get hurt. There are angry people who are hurting each other.' You know you are safe and always have been. You are invisible to evil because you don't give it any energy. I offer you now beautiful space to grow in strength, love and wisdom, but most of all LOVE. I can see that you don't think of yourselves as I see you, but trust me you are that and more." Thank you everyone. Thank everyone for being here in this claustrophobic and sweaty but amazing chamber and for trusting me and Raphael and our tour company, because without you this couldn't happen. We love you so much and all our Guides, Guardians and Angels who have gotten us here. Thank you. Thank you so much. We exited the Old Kingdom chamber and scrambled though a small opening in the floor. We were sweaty, but felt happy and fulfilled. It was a good day.